This entry was posted on Friday, May 13th, 2016 at 6:02 pm and is filed under Mommy 'hood. You can follow any responses to this entry through the RSS 2.0 feed. You can leave a response, or trackback from your own site. 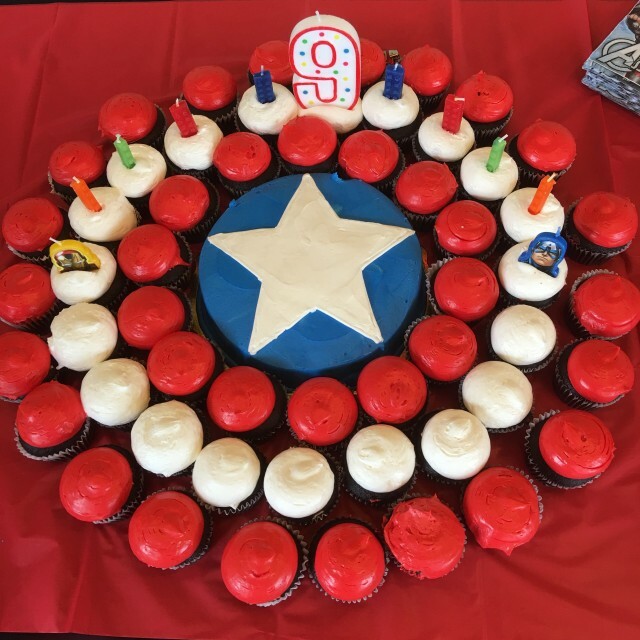 I took 18 kids to opening weekend of Captain America : Civil War, then had an afterparty for the cake in the balcony of the AMC Century City. He better remember this when he thinks I’m annoying.